Now, there are three classifications of Pokemon. There is Legit, which is anything you would normally catch in the game, or breed. There is Legal, which means that you hacked or cheated, but the Pokemon you're using could technically exist, and there's illegal, which, as this helpful guide shows, is stuff like Wondertombs. That Infernape, as I've shown above, is completely illegal. It's an Italian Iron Fist Infernape, which was only ever released in the English-speaking countries. It's also caught in a Premier Ball, instead of a Dream Ball, to rub salt on the wounds. The Infernape above is actually legal. Some shenanigans with using a US Chimchar code in Italy allows it to be both Italian, and subsequently caught in a Premier Ball. You could try to make an argument that with the new generation's breeding rules, it could have been transferred and then bred in Kalos. But all Pokemon generated in Kalos come with a blue pentagon, while everything transferred does not. Update: More damning evidence this way cometh. To explain the above: A shiny starter Pokemon with it's Dream World ability, which is impossible. It's also got a premier ribbon, which Pokecheck tends to attach to cloned Pokemon. Update 2: Oh man things keep getting better. Being shiny is fine. Being caught in a Masterball? That's a no-no. The fact that these things didn't trigger any flags with the transfer process is a little disturbing, but also another laugh in the face of Nintendo's once-again lenient hack checks. 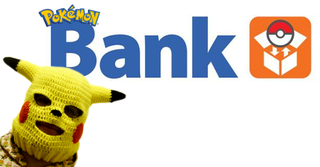 Update: Nintendo has removed the Bank from the JP e-Shop and appears to be delaying the international release.